Puerto Peñasco October 10-14, 2016 – The 2016 Hobie 16 & Hobie 18 North American Championships go south of the border, way south. This year’s event will be held in Puerto Peñasco, Mexico (aka Rocky Point) on the Sea of Cortez. Puerto Peñasco is the favorite sailing destination for sailors from Tuscon and Phoenix and a popular vacation destination. A working port, this small Mexican fishing village boasts a sheltered harbor, wonderful downtown and a beautiful sandy beach. This location offers preeminent sailing for beach cats, with endless sandy beaches, warm water, consistent winds, 350 days of sunshine, and fantastic people. 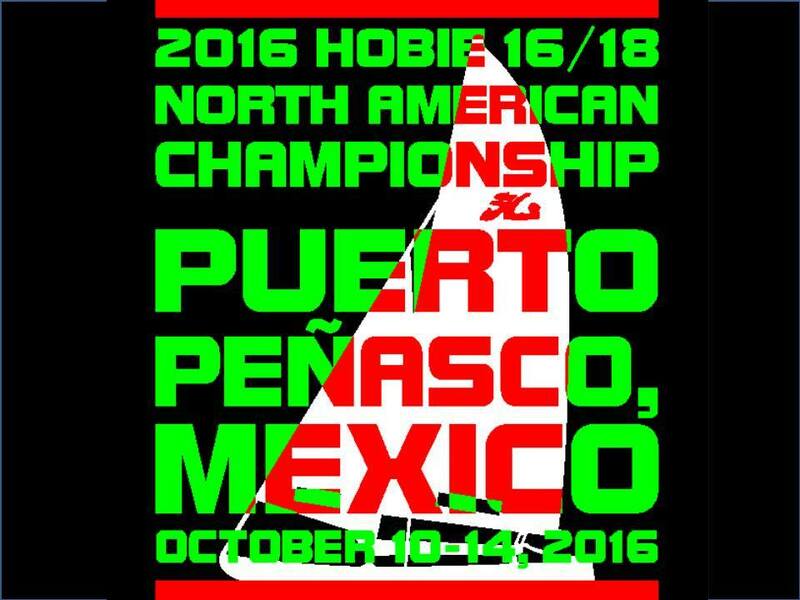 The North American Championships for the Hobie 16 and Hobie 18 classes will be held from October 10-14, 2016, however the championships are preceded by a warm-up regatta know as the Pinata Regatta at the same venue October 8-9, 2016. Event sponsors include Tecate, Playa Bonita RV Park, Stohlquist WaterWare, and Murrays/Forward-WIP Products. The Hobie 16 fleet championship is always a tightly contested battle with many extremely skilled teams. In this group, starts are very crowded and every point counts. Teams that can keep the intensity up over five days, manage the traffic and consistently finish well end up at the top. Often the start line is so crowded that OCS and BFD scores are a major factor. Consistently getting good starts while avoiding letters on your score card is a challenge. The Hobie 18 class while not as large as the Hobie 16 class is no less contested. This year’s event is shaping up to be a battle of east vs. west.